Competition! 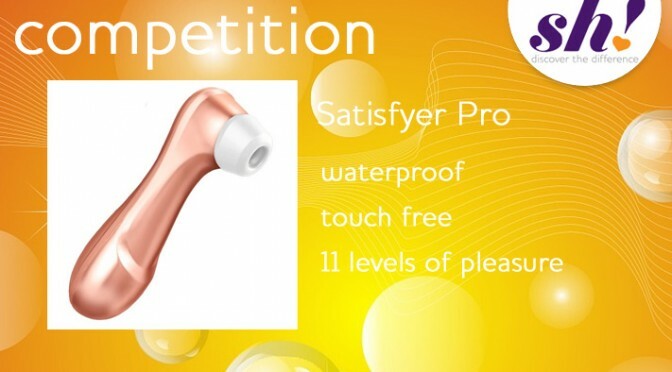 Win a Satisfyer Pro. Outdoor Girl described her experience with the Satisfyer Pro 2 as ‘Not vibration, not oral, not like anything, just completely overwhelming ‘ while Very simply called it ‘the best product I have bought’. Satisfyer Pro 2 is a waterproof, touch-free clitoral stimulator with 11 different levels of air wave pressure to explore and enjoy and we’re given away this wonder of technology for free! omg yes please! before I wear my husband’s tongue out!